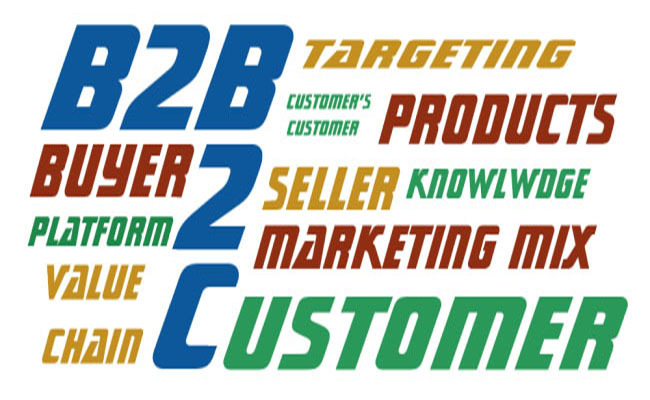 In B2B marketing, knowledge of your “customer’s customer” is critical, but not in B2C. Why? Early this year, I started working on a new project wherein I was given the task of developing the strategy for one of our clients, who was into the business of trading hardware products. Since I have worked in trading industry earlier, I though it should not be a difficult task. But, to my surprise, as I started working on it, I realized that this project was quite different from my earlier projects; reason being that this client was doing business in B2B market space while my earlier clients were in B2C market space. There is a clear distinction in the way the sales and marketing strategies for two have to be developed. While in B2B markets, knowledge of your “customer’s customer” is critical but same does not hold true in B2C markets. The competitive edge which this knowledge provides can be attributed to below mentioned factors. Firstly, it enables the businesses to bundle their products. When various products/services are bundled together into a package and presented to customer, they usually result in higher customer satisfaction and less disgruntlement from uncoordinated services. The knowledge of customer’s customer will enable the marketer to develop the best possible bundle that serves the customized needs of not only his direct customer but also his customer’s customer. Secondly, this helps the businesses to move higher in value chain and become a solution provider and not just product/service provider. Today many companies are successfully transforming themselves from product manufacturers to solution providers. E.g. UPS, offering ‘supply chain solutions’; IBM combining it’s ‘hardware, software, business consulting and IT services’ into complete solutions. Becoming a solution provider increases the companies’ business by manifolds. The solutions can be developed and successfully marketed and sold to potential customers only when businesses have knowledge of their customer’s customer. Last but not the least; it brings the seller and the buyer on the same platform. The buyer in B2B market is a sophisticated shopper who may have more in-depth knowledge of the firm’s product/services. The buyer clearly knows what he/she is looking in product/service that will completely satisfy his/her customer’s need. If seller and buyer talk the same language in terms of advantages to the end customer, the seller will definitely be able to close the deal. On the other hand, B2C, Business to Consumer, marketing comprises of the marketing activities that are aimed at serving the end consumers. The marketing strategy should be designed to aggressively and rapidly convert shoppers into buyers. The customers in B2C marketing are more emotional buyers unlike customers of B2B marketing who are more rational buyers. Therefore, in B2C marketing, the promotional ‘P’ of marketing mix should be based more on analyzing and targeting the emotions/needs of the immediate consumer. Tags: B2B, B2C, Buyer, Customer Satisfaction, Customers, Knowledge, Marketing Mix, Value Chain | Permalink.